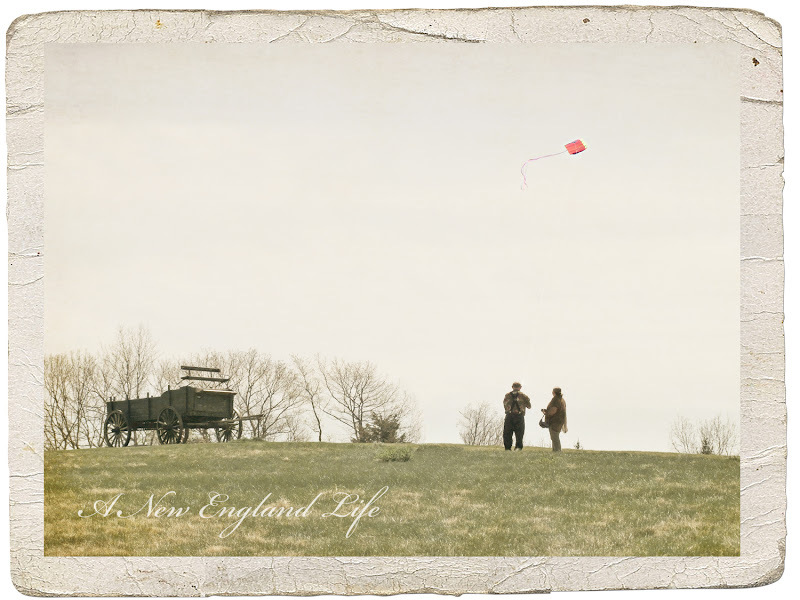 A New England Life: Let it fly! That is a wonderful picture. There is something magical about flying a kite. Even today at 53 years old, I still have two kites in the shed, and each summer I take them out for a fly. A great way to spend some relaxing time. Simply put ~ just lovely! I love your blog and your Sweetest Days blog too Sharon. So lovely! Have a wonderful weekend in New England! What a great photo. You always have your camera ready. I love kites! Especially red ones! :) Beautiful capture! What a beautiful saying and photo. So simple and yet so powerful.